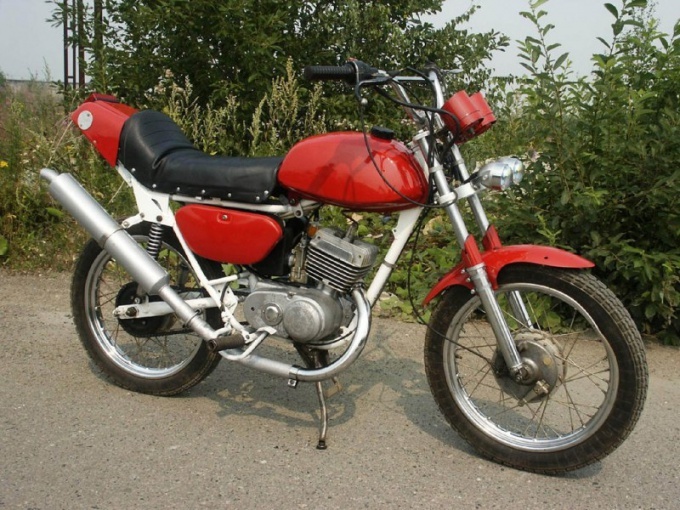 How to increase the capacity of the motorcycle "Minsk"
MMVZ for engines installed on motorcycles "Minsk", there are several ways to increase the power. Each of them has its own characteristics and is used both individually and in combination with other methods of force. How to speed up the engine "Minsk"
Hone the cylinders to the repair sizes of pistons. Install the new piston group. This way, you will increase cylinder displacement, which in turn will increase power without increasing engine speed. This method forces only makes sense for new engines. Install flap valves boyesen and increase the height of the overflow window relative to the exhaust window. Effect – increase power at low revs, allowing the motorcycle easier to move, quickly accelerate better move in difficult conditions and under load. Hone the outlet port. It will be kept open a longer time and be able to pass through a greater amount of gases. The maximum engine speed will increase along with his power through better venting of the cylinder at high crankshaft revolutions. But at lower speeds power is reduced because part of the fuel mixture is to burn effectively. Improve scavenging to the previous method of forcing was more effective. To do this, extend the bypass regular Windows and will protocide third vent channel. This will improve the filling of the cylinder at high rpm will not accumulate the working mixture in the crankcase. Install the carburetor with a larger diameter. Wider diffuser will allow the carb to prepare for cylinder a greater quantity of the working mixture, which is extremely important for forced engine. If you do not perform this modification, a more powerful engine will not be able to develop their full potential, as it will constantly experience "starvation" - the lack of fuel mixture. Install the resonator to the intake system. While tuning the resonator should have the opportunity after the installation to configure it to work on a certain speed, usually close to the maximum. This method will return a portion of the working mixture out of the cylinder into the outlet port by blowing back into the combustion chamber. And this, in turn, also will give some power gains.